Facebook's Video on Instagram launched Thursday. After hinting this day would come for the past two years, Instagram finally added video to its arsenal on Thursday. Video on Instagram works almost exactly as CEO Kevin Systrom said it would -- quick and simple. The new feature, developed by the Facebook-owned (FB) Instagram, bears much resemblance to Twitter's Vine app. But Video on Instagram packs a couple of features Vine does not, such as video filters and stabilization. As technically sound as Instagram's new features are, they feel less like a magical new way of using Instagram and more like a quick way to snuff Vine out. Why bother with keeping accounts with two services when you can get everything in one package? Why limit yourself to six seconds of Vine video uploads when you can have up to 15 with Instagram? Why look at the world as it is, when you can see it through a faded lens? But that's just about where the benefits of Video on Instagram end. The initial magic of Instagram was not that it allowed you to stumble into beautiful, nostalgia-laced photography through the use of filters (Hipstamatic did that first). 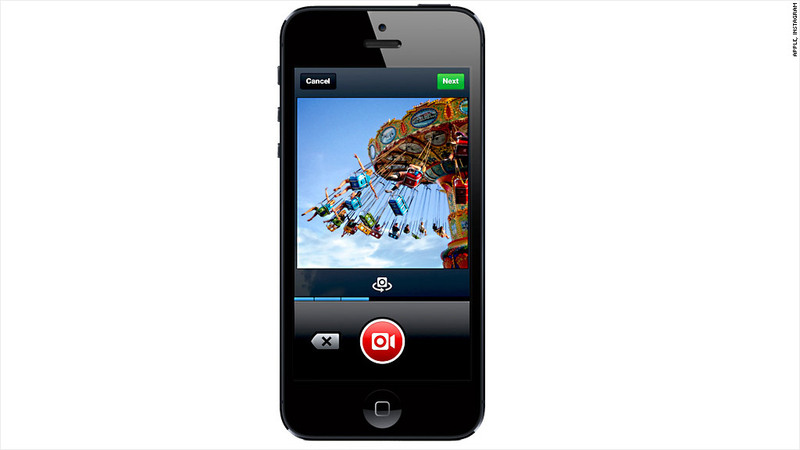 It's that it made the process of capturing and sharing those types of photos fast and easy. Instagram's video product won't have quite the same effect. As easy as Vine and Instagram have made video sharing, it's still not as simple as it could be. Compared to the video stitching feature on the HTC One smarphone, which will auto-edit a video together from multiple clips (generally to good effect), the Instagram and Vine solutions take comparatively more work, often yielding a cruder finished product. The additional time and effort needed for creating and consuming video could diminish some of the magic that Instagram has been so good at providing. Video on Instagram does not feel as essential as its photo counterpart. Still, it has enough positive features to vault it to the top of the list of best video-sharing apps.